Put PRO/CAM Racing Engine Components to work on your engine, and see the difference at the track. Pit Stop USA is The Online Motorsports Superstore! We feature Fuel Pump Pushrods at low everyday prices. Pit Stop USA is The Online Motorsports Superstore! We feature Pro/Cam SBC Oil Pans at low everyday prices. Pit Stop USA is The Online Motorsports Superstore! 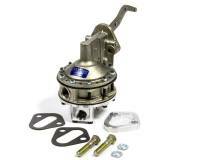 We feature Pro/Cam SBC Oil Pump Pickups at low everyday prices. Pit Stop USA is The Online Motorsports Superstore! PRO/CAM Racing Engine Components from Baker Engineering give high performance engines an extra advantage...like oil systems that unleash horsepower and use oil more efficiently; fuel pumps that allow more flow and maintain pressure; fuel pump push rods that protect the camshaft. You get the picture. Put PRO/CAM to work on your engine, and see the difference at the track. PRO/CAM Wet Sump Oil Pans are The Wet Pan That Thinks Its Dry. Racers love the PRO/CAMas unique oval track Wet Sump Oil system (pan, pump and pick-up) because it increases horsepower, reduces temperature and keeps consistent oil pressure all the way around the track, even in the corners. PRO/CAM Aluminum Wet Sump Oil Pans are very high quality oil pans with billet components. Pro/Cam pairs the pan with the custom PRO/CAM Oil Pump. The Ford SVO351 Windsor Wet Sump Oil Pans are designed with Ford exclusively for PRO/CAM. Track and dyno tested. The Pro/Cam "Economy" Dry Sump features a large directional screen area for increased oil collection, an "adjustable" scraper to help clean oil off the crank and rods, and other "extras" not often found on a budget system. By far, the PRO/CAM mechanical fuel pump outperforms others on the market. It may look similar to others on the outside, but the internal components of the PRO/CAM fuel pump have been re-engineered to reduce leaks and maintain pressure. PRO/CAM Timing Covers are 100% American made, and have stiffening ribs to accommodate a roller cam and are e-coated in a black durable finish. PRO/CAM's one-of-a-kind fuel pump push rod with a roller tip reduces friction and wear, resulting in longer camshaft life and more efficient fuel pump operation. No more nicks and digs in that expensive cam! We feature ProCam Racing Engine Components by Baker Engineering at low everyday prices!